Reliance has released latest JIO APN settings. A lot of requests have reached my inbox for latest Reliance JIO APN settings and hence I came up with this post. This best APN for JIO 4G settings is applied on many handsets and is tested under rigorous situations and it has successfully passed all and produced superfast 4G speed. Recent times is seeing a lot of speculation in terms of 4G speed. Speed is not served as promised by the company. And a lot of customers are losing hopes on the services claiming that the speed is deteriorating day by day. 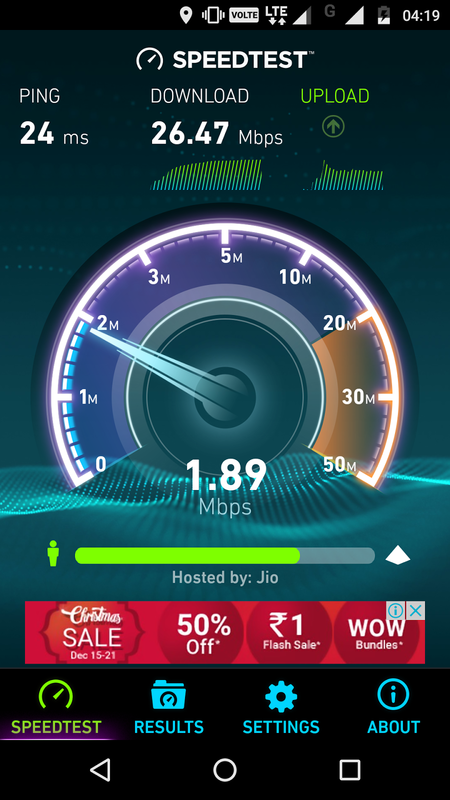 With 6.2 Mbps as average country-wide speed, Jio stands fifth in 4G speeds. Hearing all the complaints, Reliance Jio has come up with a new APN setting for JIO that will bring back that beast speed of 4G which was promised initially. So here’s how you can restore your actual 4G speed on your Jio sim with a new APN launched by the company. Let’s dive into it. This will be a step by step guide to setting your new APN for JIO4G, stay tuned. Select Access Point Name under JIO 4G. In the name field, you can add anything. Depending upon your device, MNC value would vary. Let it be whatever it is. APN type should be “default,xcap”. I’d suggest to double check this as this is the most important setting that will be recognized by the JIO server and hence providing the latest speeds and uninterrupted services. APN protocol & APN roaming protocol should be IPv4. Bearer should be set to LTE only and nothing else. MVNO type should be SPN. MVNO value should be Jio 4G. That’s capital J & G and rest small letters. Tap on save, restart your device and once it’s done. You’re good to go with the seamless speed that was promised by Reliance Jio. Read also: Running short of internal storage? Here’s how to delete “other files” from your internal storage. This will surely work. Due to technical glitches, Jio services went further down the line, this APN has restored all those bugs and speed is fizzling fast. Try this on your device, I’m sure you’ll want to share this APN update with your friends having Jio sim too. #1 Do you need to set your phone any specific settings in order to access the internet? SIM Card to be placed in LTE enables SIM Slot only. Keep the data ‘ON’ while roaming for uninterrupted service. #2 Is signal strength a deciding factor for good internet speeds? A stronger signal indicates a better signal strength and not necessarily the signal quality. Internet speed is a function of various parameters, like the website being accessed, number of users in parallel. You might get good internet speeds even at a low signal strength, depending on these parameters. In case you find the speed to be slow, you can look for these high usage factors and opt to pause it for high speed. Using smartphone has become inevitable. Furthermore, having a good internet connection is what even more important. This APN setting for Jio will get you that speed and help you stay in connection with the rest of the world. Over to you. Did you find this JIO APN settings useful? Did you get benefitted by this setting? Either way, let me know in the comment section down below. It can be a simple “Hi”, I’d love to wave back to you. Do you who’d find this information useful? Share it with them. Share this piece of information in your social network too. Also, join my mailing list where I share latest posts and exclusive offers. What is the future scope of Blockchain technology? How is it going to impact the world? This was the best setting after wasting several days in search. Thanks for such HIGH work. I have tried many apn settings but there is minor differences. but your preferred settings r giving little more speeds than before.